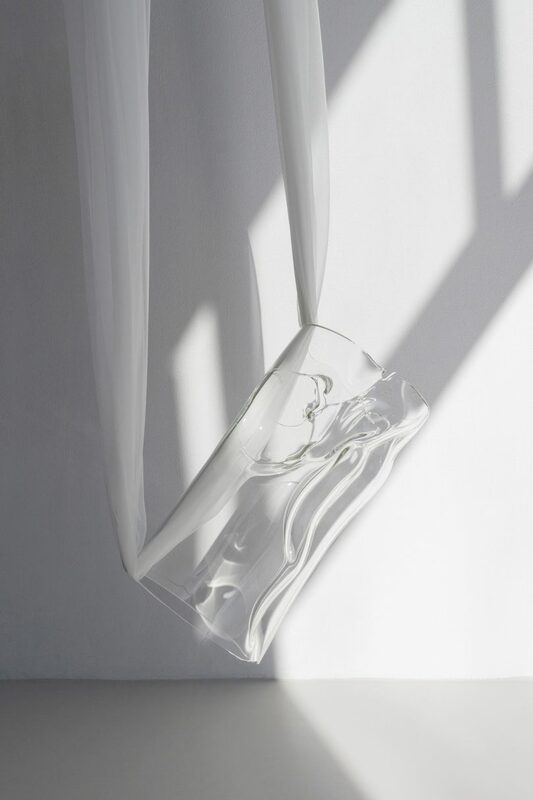 A minimalist glass sculpture where hardness and fragility coexist in balance. SEDA is a minimalist sculpture created by Barcelona-based artist Carla Cascales Alimbau, whose work is based on reaching the essence of forms and materials, stripping each piece of all ornament. She believes in the beauty of authenticity and in highlighting irregularities and imperfections as unique features of a piece. This sculpture is a tribute to women. It was made for the exhibition “Mujer Florero” in Matadero during the Madrid Design Week 2019. In Spanish, calling a woman “Florero” (vase) means valuing only her physical appearance and not her intellectual qualities. In this sculpture, hardness and fragility coexist in balance. During the molding of the piece it broke and repaired itself, creating a scar of glass that’s far from being hidden as it becomes a beauty trait and symbol of its history and strength.